Since 2007 Project Gambia has been a part of life at Ridgewood High School. 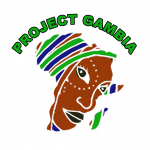 When first established the aim of the project was for students, staff and members of the local community to travel to The Gambia for a week each year to experience first hand life in a developing country to understand the issues world poverty and appreciate the benefits of the society in which they live. The Project works with the UK Charity Newlife Childrens Centres which currently has two schools in The Gambia at Kanefing and Half Dye. Each year we work in both schools delivering a range of activities such as art and craft, sport, music, drama. We also paint and refurbish the inside and outside of both schools. Project Gambia has raised in excess of £20000 which has helped provide the schools with much needed equipment and resources and over 17 Gambian children are sponsored to attend school at Kanefing or Half Dye schools by either Ridgewood or members of our local community. Another focus of our work is the village of Kotusilo, a poor area of the Gambia where people live in very basic conditions. Students distribute rice and mosquito nets and spend time in the homes of families with whom we have developed friendships over the years. Latest Projects include the farm extension at Sintet and solar powered water pump. The donations to support the clinic providing free medical care for children at Kanifing and Half Dye schools. The redevelopment of Madiana school providing classroom painting, excersise books and classroom chairs and tables.